If you are ready to move from your home, there are several types of senior living options available. This can be a difficult and challenging time for seniors and their families. However, these facilities are designed to meet the specific care, social, and lifestyle requirements of seniors. Independent Living. This option is for older adults who are independent but no longer want to maintain a home and prepare meals. Featuring one-story one and two-bedroom apartments, these communities offer daily meals, housekeeping/laundry, transportation to doctor appointments/shopping, security call systems, 24-hour emergency response, and a range of social activities. Independent senior living most closely resembles living in your own home–without all the work. And, you have the security of managers living on the property. 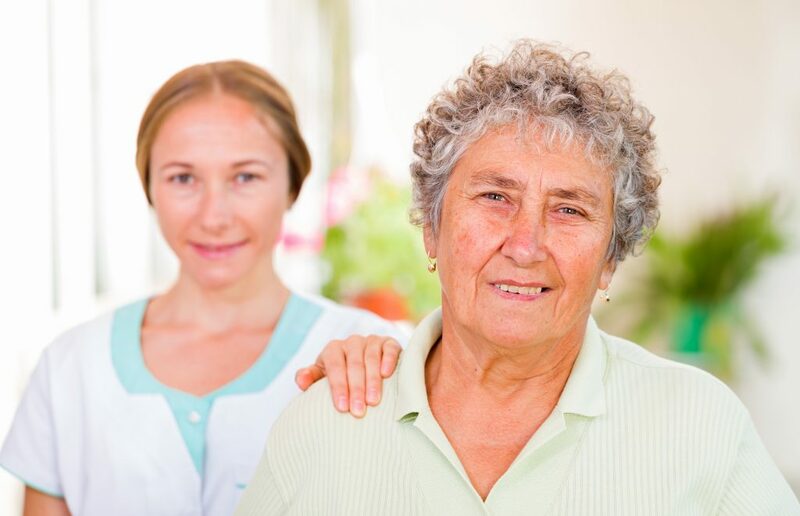 Residents can arrange for caregivers to provide assistance, if necessary. Average monthly rent ranges from $1,500 to $6,000 per year, depending on location and size of unit. Assisted Living Facility (ALF). ALF’s offer all the benefits of independent leveling along with assistance with some activities of daily living (ADL) including: dressing, medication management, bathing, and help with walking. Encouragement is given to residents to remain independent as much as possible. ALF’s do not accept patients with a dementia diagnosis. If needed, enrollment in hospice is acceptable. The national median rate of a one-bedroom unit is $3,500. Board and Care Homes. Also referred to as senior residential care homes, this option is for seniors who need a higher level of care than assisted living can provide. Typically, up to 6 seniors live in a home located in a residential neighborhood. Care is round-the-clock and since residents are closely monitored, it is a good choice for people who are a fall risk. Board and care homes are for seniors who need assistance with all ADL’s including: eating, bathing, dressing, toileting, walking, and continence. Some facilities also allow residents with Alzheimer’s Disease and other forms of dementia. The monthly rate usually covers all care and services with average monthly cost ranging from $3,000 to $7,000 per month. Residents can live in these homes for the remainder of their lives and can be enrolled in hospice. Continuing Care Retirement Community (CCRC) This facility offers the ability to move to different levels of care as needs change. You can start with independent living and move to assisted living, skilled care, or memory care. CCRC’s provides the opportunity to remain in one place as health declines. Many CCRC’s require a large upfront fee. Alzheimer’s/Memory Care. These facilities create a more structured environment to meet the needs of memory care patients. Regular routines are established along with scheduled brain exercises, memory games, and reminiscing sessions to help delay the progression of dementia. The cost of memory care is usually more expensive than other facilities due to a higher level of care. Average monthly rate is approximately $5,400. Skilled Nursing Care. Also referred to as nursing homes, patients in these facilities receive a high level of medical care provided by physicians, registered nurses, and physical, speech, and occupational therapists. Typically skilled nursing care is used for short-term rehabilitation after discharge from a hospital stay. Some patients may stay on a long-term basis. Depending on the location, skilled care costs can reach over $100,000 per year. How do you find the best type of senior living option? Many families are unaware of all the different places available. Therefore, it is important to consult with a Certified Senior Advisor (CSA) who is aware of hundreds of senior care options. These professionals provide invaluable knowledge to help determine which place is the right one for you. CSA’s receive education and certification on issues facing older adults. Seniors first receive an individualized evaluation to determine level of care and financial capability. Families are then taken on guided tours of different facilities which best meet someone’s care needs. Clients also receive assistance with securing the medical paperwork necessary to move into a senior care facility. In addition, CSA’s can help navigate Veteran’s Benefits, if available. There is no charge to families who use the services of a CSA. However, it is important to use a CSA who only works with facilities which provide the highest standard of care and meet all state licensing and regulation requirements.